Birds are fabulous environmental indicators and are important to people in many ways. Learn how Bird Studies Canada is advancing the understanding, appreciation and conservation of Canada’s wild birds and their habitats. This 2007 report to the Great Lakes Fishery Commission details environmental objectives for fisheries management in Lake Huron, including information on accountability, implementation and draft environmental objectives for fish habitat, shoreline processes and water quality. Access this site to identify and learn the diversity of species present in the Lake Ontario watershed, including trees, shrubs, wildflowers, grasses, ferns and mosses. Follow the links below to access maps and resources for generating maps. Access this site to view and/or download Ontario soil surveys. Crown Land Atlas: Access maps and regulations for Crown lands in Ontario. Geo-Gratis is a portal provided by Natural Resources Canada that provides free geospatial data ranging from basic maps to highly complex GIS files. Access this site to obtain various maps of Lake Huron and the Great Lakes region. Create or interact with broad scale maps of Lake Huron on Great Lakes Information Network’s Mapping and GIS portal. Source Water Protection is a function of the Government of Ontario’s Clean Water Act, which seeks to ensure clean, safe and sustainable drinking water for Ontarians through the protection of municipal drinking water sources. Under this legislation, regions of surface or ground water that supply municipal drinking water systems are identified and methodically protected through the creation of Source Protection Plans. This represents only one aspect of a multi-barrier approach to ensure that Ontario drinking water is among the best protected in the world. Visit Conservation Ontario to learn more about Source Water Protection in the Lake Huron watershed. Changing water levels are of particular interest to those living along the shoreline. Depending on one’s location within the watershed, high water levels can bring greater access to nearshore areas, revive coastal wetlands and enhance various recreational activities. Contrastingly, high water levels can be a cause of concern when associated other factors, such as storms, due to potential flooding and erosion problems. The same variation is true for lower lake levels. In some areas of the watershed, lower lake levels might pose safety concerns for boaters, increased costs for commercial ships carrying lighter loads, wetland loss, and generate water quality concerns. Other shoreline users might relish lower water levels for reduced shoreline erosion and safety from storms and wave action. Access the following resources to learn more about past, present and possible future water levels. The Georgian Bay Association provides information on Lake Huron water levels including two videos from CBC and CNN. Access current water level information from 11 real-time water level gauging stations spread throughout Lake Huron. Consult NOAA’s historic record of Great Lakes water dating back nearly 100 years. Learn about historical, recent and current Great Lakes water levels and associated causes that are influencing water level changes. Many watersheds within the greater Lake Huron watershed develop and publish watershed report cards. The reports provide a general description of the health of the watershed’s lakes, watercourses and forests using a letter grade ranging from A to F. This establishes effective and transparent communication of waterbed-based environmental monitoring and public reporting. Not sure who to contact? Visit Conservation Ontario to see a map of Ontario Conservation Authorities. Proceedings and presentations from the Lake Huron Summit held in Collingwood, Ontario in October 2017. Proceedings and Presentations of a binational conference on Lake Huron’s environment held in Alpena, Michigan. Presentations from the conference are linked through the agenda. Meeting Agenda – NOTE: Individual presentations from the conference can be accessed by hyperlink through the Meeting Agenda. 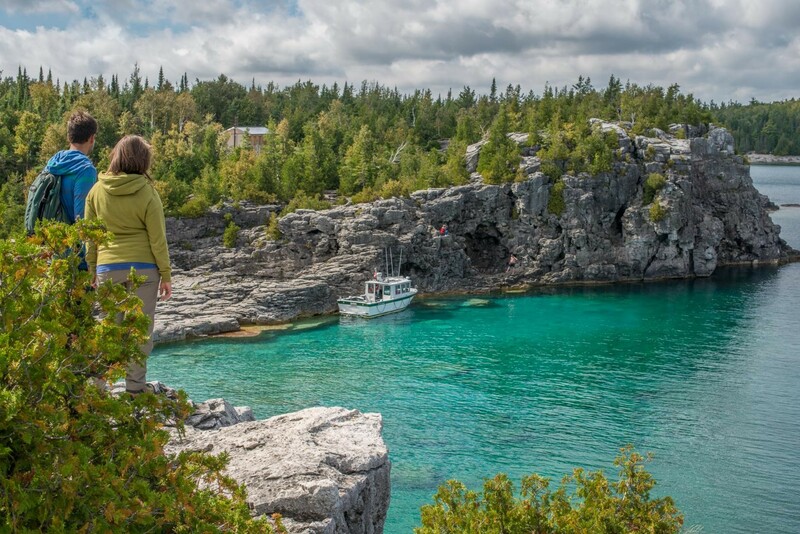 Here you will find a summary of the Lake Huron- Georgian Bay Summit held in 2014. The full summary is below as well as each chapter. The Summit provided an opportunity to showcase the talents and achievements of some of the community-based organizations within our watershed and provide practical ideas and approaches to help turn community interest into environmental action. Provides opportunities to increase knowledge, integrate scientific based, traditional and local knowledge, and by providing tools to improve skills and capacity. Engaging the community in a collaborative process so that networks are formed and strengthened over time. Similar to other emerging philosophies and charters, we encourage people and groups to sign the Framework Charter. Using scientific research and information, local and traditional knowledge to better understand local issues and to take action to protect unique and vulnerable ecosystems and restore degraded areas around Lake Huron. Identifying performance indicators, measuring the success of projects and programs, and reporting the results and achievements in a public friendly manner to learn and improve future approaches.